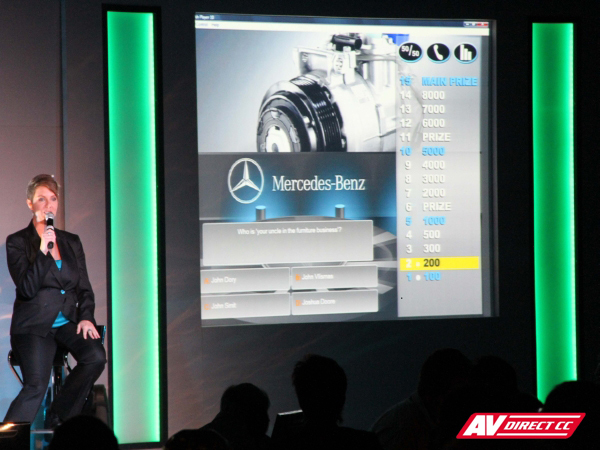 The champions game show kicked off last month again as staff from Mercedes Benz took on the ultimate challenge. 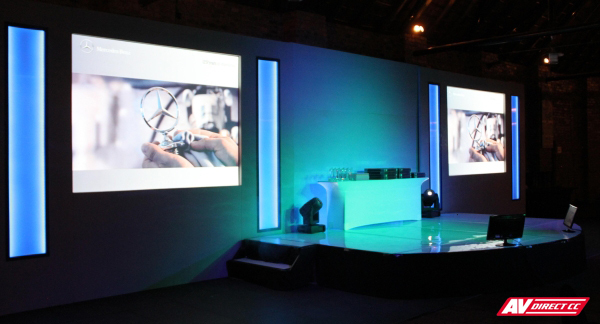 The encounter took place at the beautiful Serengeti Hall at Birchwood Hotel, AV Direct crew setup the stunning set design and audio visual equipment. The game show based on the popular TV show Who wants to be a Millionaire, takes the contestant through the varied questions that relate to your business using the elements that create that tense and exciting atmosphere seen in the televised game show. The game can be tailor-made to work with any client or sponsor and can incorporate all the necessary detail whether it is colour scheme, logo placement and branding. Contestants can either win money or prizes, depending on the clients’ suggestion and the questions are pre-selected by the client to be added to the list. The scene was set for a great evening of fun & games, with arcade games and other sporting activities around the venue to keep the staff inspired and competitive. 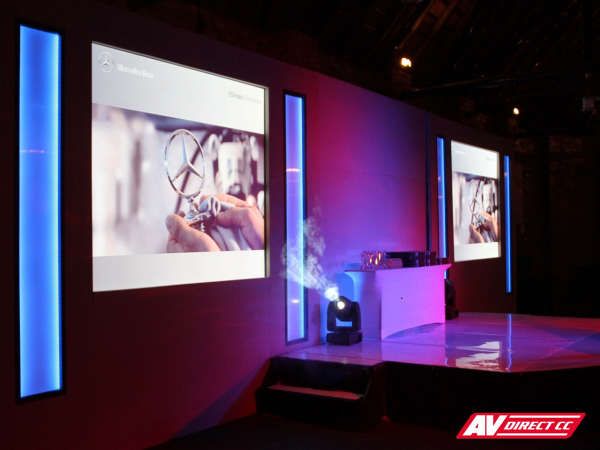 An awards ceremony continued as employees were warmly celebrated for their efforts throughout the year. There is also a video to be released soon, so continue to our YouTube Channel here.